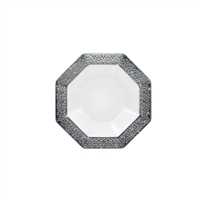 Clear 5 ounce bowl with textured rim. Food safe, BPA free plastic. Bowls come in packs of ten. Square black 8 ounce condiment bowls. Bowls come 20 per pack. 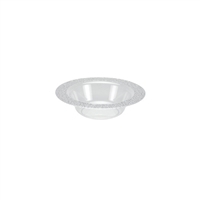 Square white 8 ounce condiment bowls. 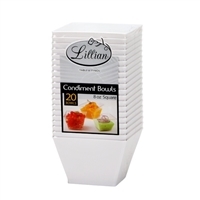 Bowls come 20 per pack. 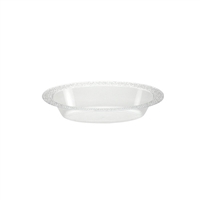 Square clear 8 ounce condiment bowls. 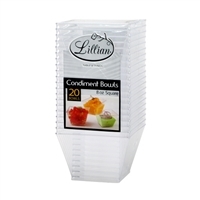 Bowls come 20 per pack. 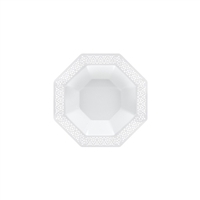 White octagonal serving bowl with a 96 ounce capacity. Food safe, BPA fee plastic. Comes in pack of two. White 5 ounce bowl with silver trimming. Food safe, BPA free plastic. Comes pack of ten. White and gold 5 ounce bowl with gold trimming. Food safe, BPA free plastic. Comes pack of ten. 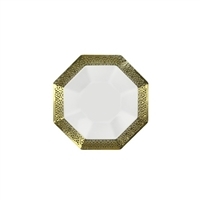 White 5 ounce bowl with gold trimming. Food safe, BPA free plastic. Comes pack of ten. 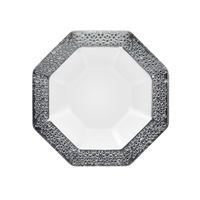 Clear 14 ounce bowl with textured rim. Food safe, BPA free plastic. Bowls come in packs of ten. 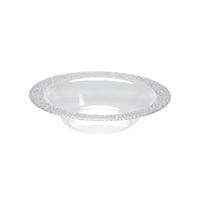 Clear 48 ounce serving bowl with textured rim. Food safe, BPA free plastic. Bowls come in packs of two. 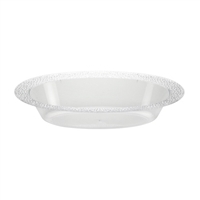 Clear 14 ounce oval-shaped serving bowl with textured rim. Food safe, BPA free plastic. Bowls come in packs of ten. White 14 ounce bowl with silver trimming. Food safe, BPA free plastic. Comes in pack of 10. 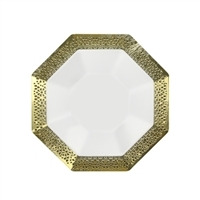 White 14 ounce bowl with gold trimming. Food safe, BPA free plastic. Comes in pack of 10. 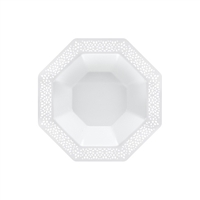 White 14 ounce bowl. Food safe, BPA free plastic. Comes in pack of 10. 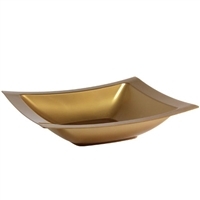 Gold plastic 12 ounce rectangular soup bowl. 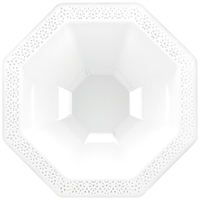 Bowl is made from food safe, BPA free plastic. Bowls come in packs of ten.